A chemist YouTuber known for his rather heated content has apparently had several of his videos flagged for being a bit too close to dangerous, which comes as a bit of a surprise considering what else the site allows to exist. We’ve seen YouTube waffle on some pretty questionable content, from kids vomiting to feeding your loved one laxatives. Short of murder, it was hard to see where exactly YouTube would draw the line against you — I mean, as long as your name isn’t Alex Jones. 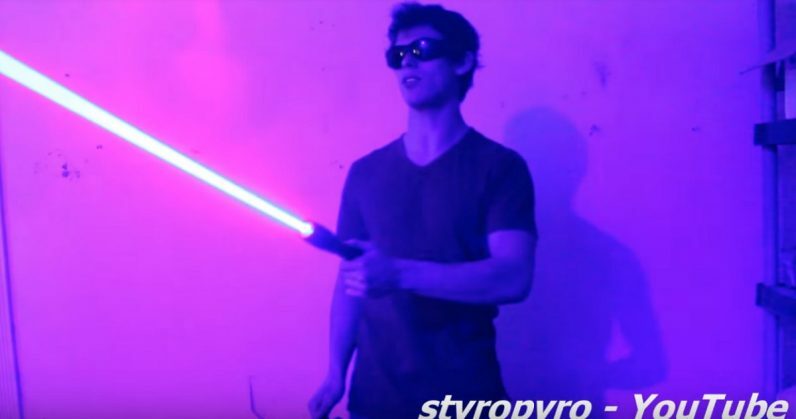 But apparently Drake “Styropyro” Anthony, who routinely creates things like DIY lasers, bumped up against that boundary with a few of his videos. Speaking with Motherboard, Pyro — I’m sorry, but I can’t call someone who plays this with lasers anything else — said he’d received two content strikes against his channel for his chemistry-related content. He uses safety equipment, which is understandable considering he works with some dangerous substances, but YouTube still demonetized some of his videos. He was also received a strike earlier this year that led to his two-week suspension from the site, according to Popular Mechanics. Videos featuring activities that could lead to serious physical injury may be age-restricted or removed altogether, but as is the case with all our policies, context matters. Videos accompanied by sufficient educational, documentary, or scientific context are allowed. When videos are flagged to us human reviewers evaluate them and remove videos that violate our Guidelines. Now, I’m biased, but I think lasers, in and of themselves, are a sufficient redeeming characteristic of such a channel.